Dr. Salone takes the time to explain the results of your eye exam, describe your options and listen to your eye care needs. Because maintaining good eye health is an ongoing partnership, we encourage you to ask questions and share your health information, which could be vital to monitoring, diagnosing and treating potential vision problems. 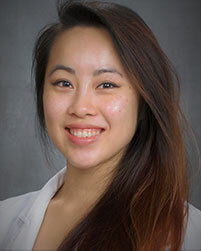 Dr. Michelle Le graduated from SUNY State College of Optometry in 2017. The following year, Dr. 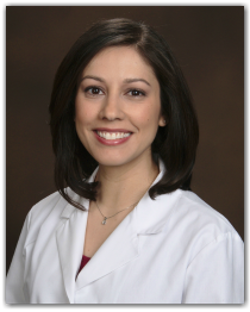 Le furthered her training by completing a Primary Care/Ocular Disease Residency at the Albuquerque Veterans Administration Medical Center, where she gained extensive experience in diagnosing and managing glaucoma, cataracts, macular degeneration, and other ocular conditions. In addition to providing a very thorough ocular health exam, Dr. Le aims to find the perfect prescription in glasses and contact lenses for your visual needs. She enjoys working with patients of all ages and the favorite part of her job is meeting the wonderful patients of TSO Georgetown. Our exceptional and friendly TSO staff is our greatest asset. They are excited about what they do, and they care personally about getting the best results for our patients. Brandon is our office administrator and Sports Vision Therapist. After playing football at the University of Texas A&M Kingsville where he studied Kinesiology, Brandon joined the United States Army. During his 7 plus years in the US Army, he earned his certification as a Biomedical Equipment Technician and served in Operation Iraqi Freedom and Operation Enduring Freedom. Brandon has served as a Biomedical Supervisor, Branch Manager, High School Assistant Coach (Track and Football) and Little League Coach. He comes to us with a great deal of knowledge in sports and sports fitness training. His experience with sports coupled with his vision therapy knowledge allow him to assist all athletes, young and old, to enhance their athletic abilities through strengthening their vision. Rebecca Moffatt is a Central Texas native. She has 7 years of customer service experience and began working with TSO Georgetown as an Optical Associate. After learning about Vision Therapy, Rebecca quickly transitioned into Vision Therapy. She has a passion for working with children, as well as adults. Most importantly, she loves seeing the changes in them and their confidence, as they are able to improve. When Rebecca is not caring for patients, she is spending time with her two wonderful children. Leslie Egure is a Texas native fluent in Spanish. She has been working in the optical industry for 8+ years, ultimately gaining experience in frame styling and product knowledge. As head optician she takes pride in ensuring that every patient that walks through our door receives the best experience in the process of finding their little piece of style. Miranda Ochoa was born and raised in Georgetown, TX. She has over 9 years experience in the Health Care field. Miranda joined the Texas State Optical of Georgetown team as our front desk receptionist and quickly transistioned into our paraoptometric. She takes pride in helping others and it shows through to her work. Miranda spends her free time with her family. Kourtney was born and raised right here in Georgetown. She graduated from Georgetown High School and spent her 4 years there as an Athletic Trainer. During and after high school she spent her summers doing volunteer work with Community Restore in Matamoros, Mexico as well as here in Georgetown. Kourtney attended the University of Mary Hardin-Baylor and Texas State University. Kourtney has always been driven by a great love of caring for others. Her life has taken her to many places where she learned many different professional and personal life skills. Kourtney’s daily goal is to make sure every patient leaves us with a smile. She is newest addition to Texas State Optical Georgetown, but she is so excited to be a part of our growing team.